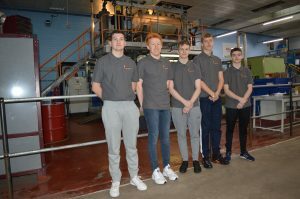 Chemoxy have taken on 6 new apprentices for the academic year 2018/2019 (the apprenticeships include five process technicians and one pipefitting/welding) adding to the 4 Chemoxy currently have. The apprentices will spend their first year training at TTE/NETA and then join us on site in 2019 (one will be located at Middlesbrough and five located at the Billingham site). This is a great experience for both the apprentices and Chemoxy. The apprenticeship route allows for the young adults to receive training from professionals working in the industry, and get a chance to practice with industrial materials and equipment. Whilst it allows Chemoxy to train up the next generation of workers whilst they receive the correct academic training and qualifications. 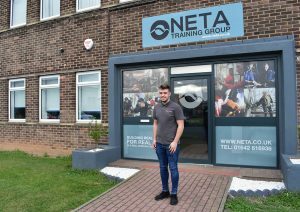 The 6 new apprentices include: Jake Wilson is a Pipefitter/Welder Apprentice studying at NETA. William Todd, Robert Turford, Oliver Todd, Harvey Smith and Ben Ramrekha who are all Process Technician Apprentices studying at TTE. Chemoxy have supported the apprenticeship route for over 25 years and see it as one of the key avenues for building skills in a chosen sector, for young adults.